Knead will choose the best doughnut idea for a special offering, and match all contest sales for a donation to Amos House. Dream up your own doughnut creation for a contest at Knead Doughnuts to benefit Amos House from October 21 to November 3. Enter the contest for $1, and Knead will choose the best doughnut idea to create a special offering, and it will also match dollar-for-dollar all contest sales, doubling the donation to Amos House. Amos House is a nonprofit organization in Providence that provides direct support for men, women and children in crisis with meals, housing and job training. 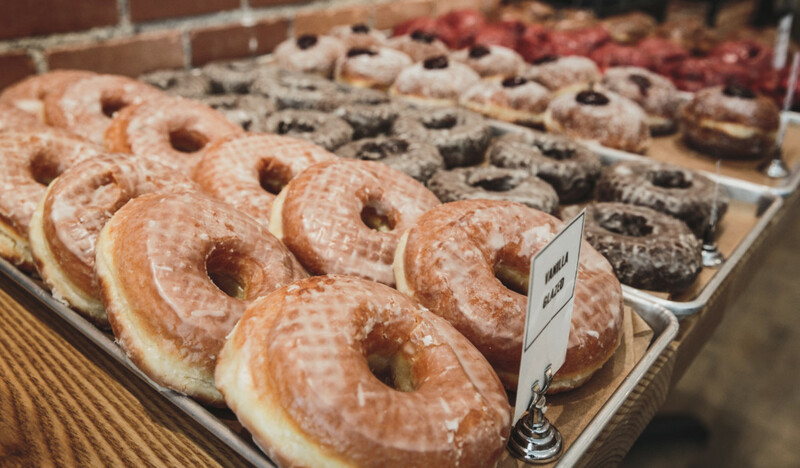 Whether you like your doughnuts savory or sweet, spiced or sprinkled, glazed, creme-filled or frosted, the creative freedom is up to the loyal customers, and their taste buds and imaginations. Make sure to stop by both the downtown and East Side locations from 8 a.m. to 3 p.m. to submit your doughnut creation and help support the Rhode Island community. When the lines filled with doughnut-lovers start to dwindle and Knead closes its doors for the day, the owners are sometimes left with remaining brioches and chocolate salted creations that should never go to waste. Knead Donuts has also partnered with Amos House to donate their leftover product to the program.